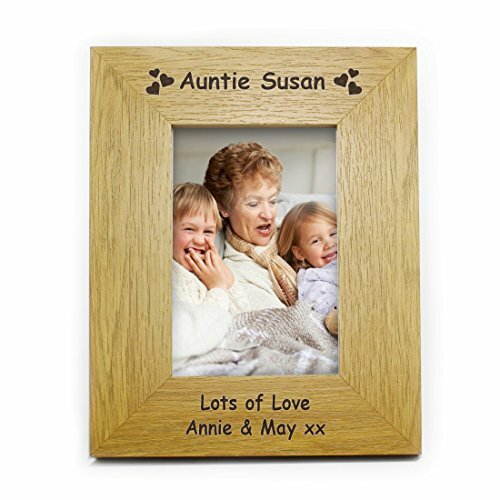 Personalised this 6x4 Oak Finish Hearts Frame with up to 15 characters above the photograph and 2 lines of a text below the photo of up to 25 characters. NOTE Due to the font type used please refrain from using all capitals in your personalised message. This frame holds a 6x4 Portrait photograph.